When people ponder the secrets behind a successful marriage or partnership, they think of things like honesty, trust, communication and respect. And whilst those values are both applicable and apt for my marriage, they're not the first things that come to mind for me. My husband is autistic. 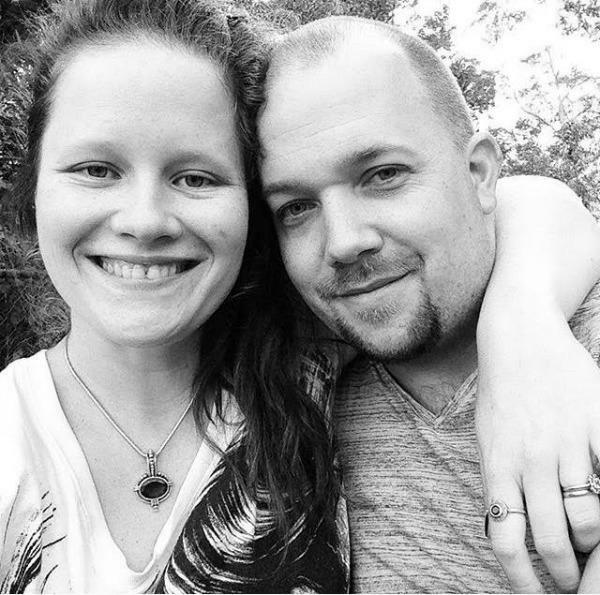 So despite this not actually being apparent to us as a couple until a few years ago, we have always had to come up with different ways of doing things or brainstorm as a collective about how to overcome certain (often recurrent) hurdles. One of the things we have put into place and use regularly to help our marriage comes down to something so simple. I'm sure it could be used by other couples, too, and autism doesn't even necessarily have to factor in. 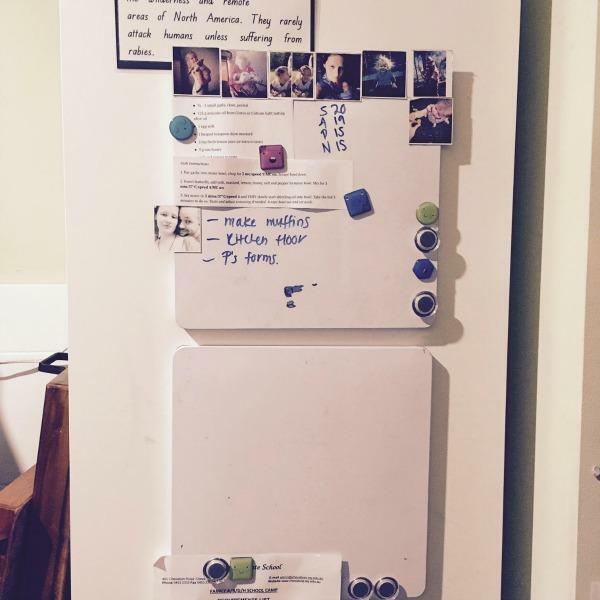 The life-saving marriage hack: A whiteboard. And pens. Placed somewhere obvious and communal. In our case, it's on our pantry door right in the middle of our kitchen. So what makes this tool so effective and important, as well as crucial to our marriage? It opens up communication. It keeps any issues front and center, and it reduces the need to nag. Despite what some men may think, women don't actually enjoy nagging. It's a tiresome, annoying thing to have to. Let's face it: no one likes having to repeat themselves and no one likes being pestered by another person either. So how do we use the whiteboard? When I need something done by CJ — whether it be for him to hang out a washing load I've just put on, or make a batch of muffins for the girls' lunches after I go to bed, or even something as simple as trimming the cat's claws — I write it down. This means I don't have to keep reminding or repeating myself to my husband, and then let resentment or frustration build when he genuinely forgets or loses track of time. It's right there. He can see it. I also write down things for myself that I need to do or remember. Yesterday I used it to record how many doses of the cat's eye ointment I had applied and also how many minutes of reading time my daughter, Sno, had deducted due to poor behavior (yelling). I keep track of extra grocery items outside the usual lot that CJ buys. He doesn't have to ask; it's right there. The amount of relief, weightlessness and calm that comes from knowing you've done as much as you can, and the rest is up to another person, isn't something that should be overlooked. This is how I feel with the whiteboard. I know I don’t have to constantly remind, ask or nag. I can write it down and then move onto the next thing that requires my attention — and sometimes, it's simply drinking a cup of tea. As a mother of four kids — two of whom have special needs and a husband who also has autism — the exhaustion from the constant juggling of various balls (i.e., people's needs, and trying to factor in couple-time and self-time) in the air can get overwhelming and very taxing after a while. The freedom that comes from being able to successfully and effectively "pass the baton" to your husband or partner shouldn't be underestimated. Having this simple tool in place means I’m getting the support I need and my husband is easing my stress load daily on a meaningful level for things that matter. He loves that I don’t whine at him and will often remind me to “put it on the whiteboard” if I do need something extra. Because that’s how effective it is. Sometimes it’s the most simplest of adjustments in life that can make the biggest effect. It doesn’t always have to be complicated; sometimes, you just have to break it down.